The Nile River region flourishes with exotic wildlife, ancient ruins, and other remnants of intriguing cultures and religions. 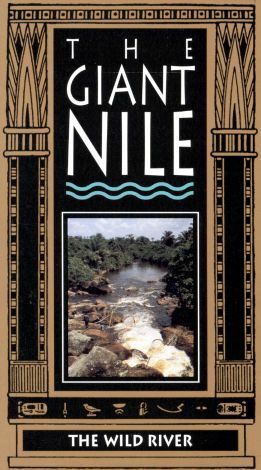 The Giant Nile series takes you on a journey down the 4,000-mile-long river exploring the fascinating world of this historic waterway. The Wild River: Vol. 1 Giant Nile begins the trek with a raft trip along the Nile headwaters at the Omo River. Considered the birthplace of mankind, here, monkeys and crocodiles reign, while fossils, hot springs and hieroglyphics shed light on an ancient legacy. The journey continues up river for a look at tribal life in remote Kenya, where people survive on camel blood and urine. Narrated by Alan Hill, the film examines both the everyday life and spiritual rituals of Nile tribes. This three-part travelogue also includes White Nile, Blue Nile and Egyptian Journey.